Dental Care Newark: When Do Dental Items Go Bad? When Do Dental Items Go Bad? ”When should I change out my dental items?” This question isn’t thought about nearly enough. 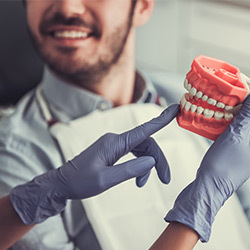 In dentistry, most professionals are just excited when their clients actually use proper dental hygiene practices, such as brushing and flossing regularly. 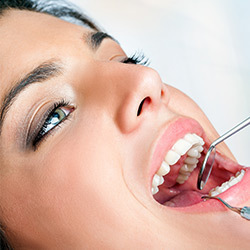 However, though you may have good oral health routines, you still might develop dental issues. But how is this possible? Changing our your dental items, such as toothpaste, toothbrushes, mouthwash, and floss, are all vital to the health of your teeth. Odds are, if you have had the same toothbrush since 2007, it may be the root cause of your dental problems. 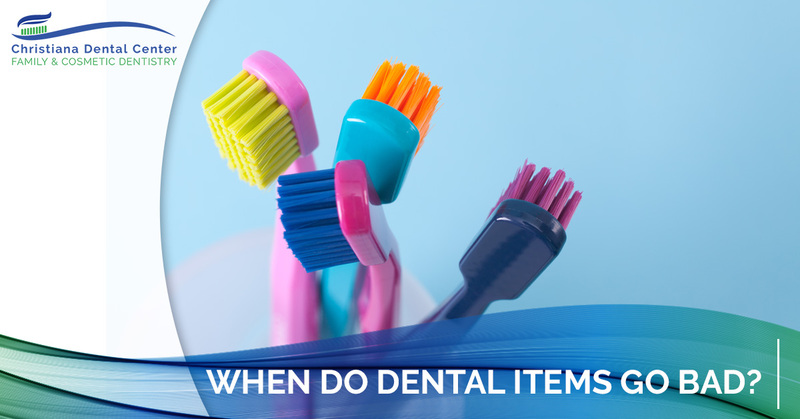 In this blog, we will be discussing when you should change out your dental items in order to maintain proper dental health. 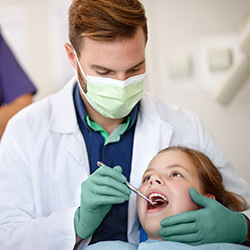 We hope by reading this blog, you will know when to change our your important dental items, maintain good dental practices, and share the information you learn with others. Not many people know when to change out their toothbrushes, which might be the base cause of the state of current American dental health. Why Is It Important to Change Out Dental Items? It is important to switch out your dental items because, at a certain point, they all lose their ability to clean your teeth. And, if your items aren’t working as they should, why use them at all right? As not using your dental items isn’t really a sustainable option, we should all be vigilant to know when our dental items expire. 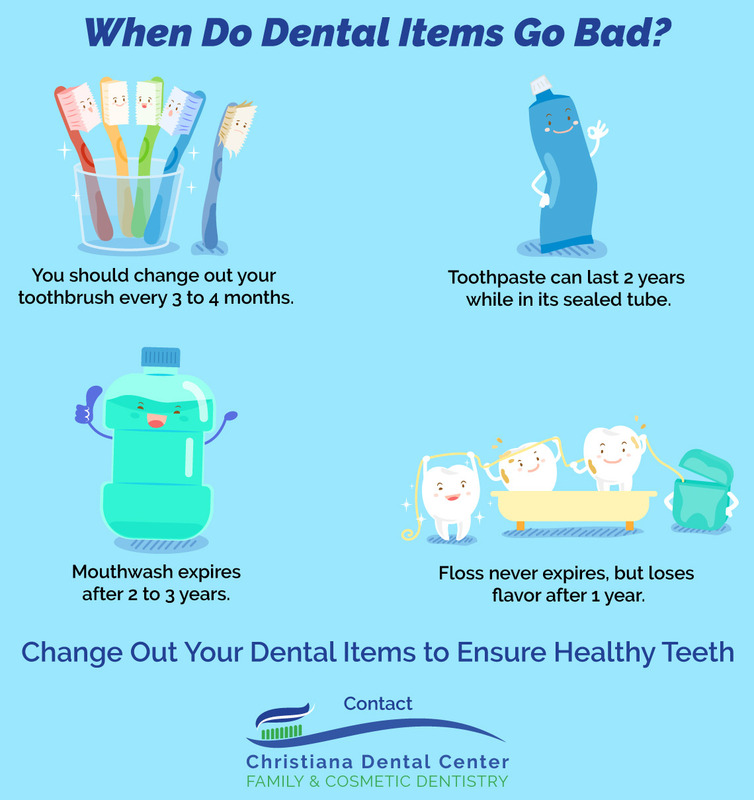 Because dental item expiration dates aren’t that well acknowledged, it is important that you remember when your items “go bad” and share this knowledge. Many people you may know might think they have great dental health routines, but actually don’t. Nothing is worse than visiting your dentist with complete confidence, only to find that your teeth are actually in trouble of decay, erosion, and staining. Your toothbrush is your ultimate best friend in the world of dental health. Without it, your teeth would not be able to handle the dental acid build up, decay, and eventually fall out. Now, the best way to ensure that your teeth a sparkly-bright for many years is to brush your teeth regularly. Though some people claim to have great dental habits, their visit to the dentist can say otherwise. How does this happen? Well, you may want to investigate the state of their toothbrush! It is held by the American Dental Association (ADA) that you should change out your toothbrush (electric or traditional) and least every three to four months. When your brushes bristled are weak and worn out, they are less likely to give your teeth the deep clean they deserve. This means that there could be important areas of your teeth that you are missing, which could need to dental decay later down the road. Toothpaste is somewhat remarkable because it can last a long time if left in its tube with the cap on. According to the Federal Food and Drug Administration (FDA) and the American Dental Association (ADA), toothpaste does eventually expire but it still usable past the official expiration date. Toothpaste will remain useful for approximately two years, however, the fluoride in the paste will fade after the two years have passed. Also, the flavor of the paste will diminish and even taste bitter and have a lumpy texture. Again, it isn’t dangerous or life-threatening to use old toothpaste, it just isn’t that useful in terms of cleaning your teeth. Mouthwash goes bad eventually. Though it can be very useful, passed its expiration date you probably should not be using it. Why? The main ingredients of your mouthwash expire between two to three years. After the expiration date, the ingredients don’t work to clean your teeth. So, if it doesn’t work, why use it? When Is Floss Not Useful Anymore? Floss is an incredible dental product because it never expires. Yes, that roll of floss you have had since you were six still works! But, before you go ahead and use old floss for your teeth. You must know that dental floss loses its flavor after one year. So if the flavor is a deal breaker, perhaps you should purchase a new carton of floss instead. 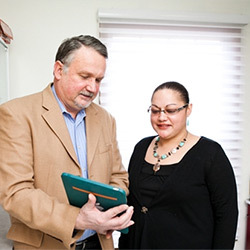 Contact Christiana Dental Center today to schedule an appointment and stay on track with your dental health.